Over the past few weeks, we’ve made some changes to improve the MOT testing service. Thanks for your feedback on the previous posts, I hope they’re giving you a better idea of the work that goes on behind the scenes. Over the past few weeks, we’ve been working on our ‘Get an annual MOT reminder’ service, so we can send reminders by text message, as well as email. Sending text reminders should help make the service even easier to use so that people are less likely to forget. This should help us get the number of late MOTs down, as well as bringing in more work to MOT garages. The email service has already been successful, with around 104,000 of you using it! For those of you who haven’t used it, you can sign up to receive a reminder. We’re working on an improvement to the ‘Check the MOT history’ service, to show the details of the garage where the MOT took place. We know this is something we frequently get asked for. We know that at the moment some automated systems scan and use data from the service - which is fine for the data we currently make available. However, with garage data they could try and compare test results by garage, in a way that might mislead the public. We’re working on stopping this type of automated access, and once we’ve done that, we’ll make this garage information available to the general public and promote it more widely. We’ve also added a link to the ‘Society of Motor Manufacturers and Traders’ (SMMT) vehicle safety recalls page, so you can check whether the vehicle has got an outstanding recall or not. We’ll be monitoring how many people use this link, to see whether it’s an area we can do more on. We’ve also added the brake weights of more vehicles to the system. We know some vehicles haven’t had brake weights associated with them, or they’ve been incorrect. This will help fix that, and you’ll notice less vehicles without brake weights when you’re testing. 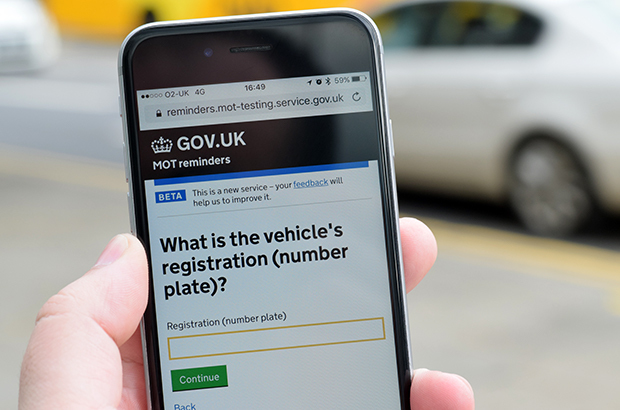 We’ve made some changes to the test quality information area of the MOT testing service, so users will now be able to choose whether to see 1 or 3 months’ worth of data. Users will also be able to see a breakdown of test failure component categories, including figures for the site averages. This information will be in a different place, depending on your role. We’ll make the spreadsheet that contains all the test quality information for VTSs available for everyone soon. We’re also working on some guidance to help you get a better understanding of test quality information and test logs to help identify trends and improve MOT test quality. We’ll let you know when this is available. We’re now starting to prepare for the work that we’ll be doing from the start of October. One of the main things we’ll be focusing on is seeing how we can better use our information for garage risk rating. We’ve already started planning this work, by looking at how we can use mathematical algorithms that spot trends in garage or tester data that are worthy of investigating. This could include analysis of volumes of tests in a given time, failure rates or items for the particular vehicles tested and similar areas. We would then combine this with other information to identify situations worthy of investigation, or just to determine a risk rating (which would be used to prioritise our work). We still have a lot of work to do on this, but will update you as we progress. Another area we’ll be working on is changing our reasons for rejections and advisories. As part of this, we want to make sure our reasons for rejection are easy to understand, and we’ve already started to do some research with different types of motorists to see what wording is best for the certificate. I’ll update you with how we get on with all of this in my next blog post, but in the meantime, please leave your feedback in the comments below. Just a general question - We have a couple of car dealers as part of our customer base now. They are asking us if we can do only clean sheets with no advisories on them when we pass a vehicle as they are trying to sell the cars to the public and it looks better without any on the sheet. If it fails then that's that and they will have the work done, but if it passes then they don't want any advisories recorded on the system and only hand written on another sheet and given to them along with the blank sheet. They have told us this how other VTS's have acted and it's ok? when we have sought advice on this issue some of the DVSA inspectors have said it's ok as long as you keep a paper copy of what you have hand written in case it needs to be checked on a re-inspection of the vehicle, and other's have said No this is not acceptable? I just wondered what the official advice is? We will be clarifying this as part of the implementation of the EU Roadworthiness Directive from next year – where some changes need to be made on how advisories and other minor defects are recorded. This will make it much clearer that we expect advisory information to be recorded in the MOT testing system. We know from our research that most car users find advisory information helpful in looking after their car – and it would seem reasonable to follow that reputable car dealers would want to make this information transparent to their customers. The date on the VT9 relates to the date the fees were set and not to the date the document was created or amended. Agreed but the issue date of 6th April 2010 was a Tuesday not a Monday !! Can we work on. Where to find reason for rejection 3.7 A 1 Brake performance test unable to be carried out. Its on the first page of section 3.7 Brake performance, in the inspection manual, but I can not find it on the system. Am I missing something?? The failure is ‘Brake performance not tested’. To navigate to this , the flow is as follows: ‘Add defect’ from the MOT Test results entry screen > Brakes > Brake performance > Brake Performance not tested > select fail button > Enter the reason in the ‘Additional information’ free text box. Is there something you are not telling us Mr Barlow? "Another area we’ll be working on is changing our reasons for rejections and advisories. As part of this, we want to make sure our reasons for rejection are easy to understand, and we’ve already started to do some research with different types of motorists to see what wording is best for the certificate." Could this be something to do with the E.U. perhaps or massaging down the number of 'failures'? Thanks for the question. This is related to implementing the EU Directive we have previously blogged about. We will let you know more of what it will mean in the next of these blogs. Thank you for your feedback. Your comments will be passed on to the service design team who will be looking to further improve test quality information soon. Anyone think that adding a fault under REAR BEAM AXLE, i.e. corroded, bent, damaged, badly repaired, bushes, would be a useful addition? I am a tester at a Main Dealer. We have lots of contact with other garages. There are back street garages that deserve to be questioned BUT there are many more Non Franchised garages that do a sterling job on a much wider range of vehicles than we do. Not all Main dealers look down on the rest of the trade, we are often asked for advise mostly non test related and freely give it. We all need each other to get through life. Do not brand us Dealers all the same. At our dealership we do not do that to you. If the cap fits, wear it! Cars over 40 years old to be exempt from the MOT test from April 2018. How can this of happened??? As a classic car owner and club member of a few old car club's. I get to test a few old things. Now thees classic car owners, are all enthusiasts and like to keep there cars up together them self. Which is fine, but most of them are amateur mechanics. Some good some not so. Most treat it as a hobby. Well I have to say, I have seen the odd bolt missing here and there. Why has the exemption not even been mentioned on here?? Think I will go out and buy up all the old barn finds I have looked at and walked away because the cost of getting them up to MOT standard was to much. NOT any more LOOK OUT!!! We’ll be updating in more detail on this and other MOT changes from May 2018 over the next few weeks. This doesn’t change the obligation on motorists to only drive a vehicle that’s in a safe roadworthy condition, so vehicles must still meet the same standards as now. Love the madness of this "Cars from the 80s are more powerful and should not be excluded - cars from 40 years old should be ----- so give it 5 years and cars from the 80's will be excluded..." - Also £30 for an MOT test was a good sensible way for someone to have a look under my cars each year as I don't have any other easy way of getting them in the air. Do DVSA monitor occasions when a vehicle is failed at one testing station (usually requiring a costly repair such as BMW abs system failure) only to be passed at another station within weeks of the failure? DVSA doesn’t monitor all 30 million vehicles individually. We do look for trends in data, and we’ll increasingly be doing so as part of work on improving our risk rating. This is a good example of an ‘unusual’ trend in data that could alert us. Anyone had problems with the security cards? My 1st one died after a year, got a replacement which never worked that well from day 1, code would disappear after 3 seconds or screen would go black, wouldnt work after 4 weeks. Am on 3rd card now which still plays up most days. A few cards have been reported to us as faulty but not huge volumes. Please drop us an email at MOT@vosa.gov.uk to let us know the details, and we’ll get one of the team to come and have a look. Would like to be able to see certain months of test quality info, not just 1-3. For example now i would like to go back to july and see info, i cant. Thanks for the feedback. We will come back to this area again in the future once we've had more comments, and can look at possible enhancements, such as that you mention. would DVSA be adding information to compare the age of the vehicle against the time of the test so i can easily see if the tester is varying their test time according to the age of the vehicle? We’ve now come to the end of this piece of work on TQI and are looking to gather feedback on how service users are finding the system. Your comment will feed back into the review process and may inform some of the redevelopment and improvements we carry out. Good work, like where its going. We agree this is an area of concern. We are looking at making some changes to the Tester’s Manual from next year. One change will allow a failure for equipment such as this ‘obviously modified’. More details will follow as we move towards making this and other changes to the manual. I look forward to the next blog they are very informative. I personally think that there are to many back street testing stations... just take where I live in Maidstone there are so many most have much to friendly regular clientele? I think there should be designated testing stations much like HGV ones. We understand the concern but we must remember that the vast majority of MOT garages are doing a great job and providing their customers with excellent service – including a fair MOT. While separating from car repair may sound attractive, it would cause a big problem for motorists. Our preference is to work with the trade to identify garages that are not playing by the rules and deal with them. Just because a testing station is on a back road ,does not mean the vts are not committed to doing their job correctly . They will have repeat customs who they will by know by name etc.. unlike the national fast fit centers who dont get to know their customers on a year to to year basis. I take it from your ridiculous comment that you work for a main dealer and think all smaller 'back street' garages are beneath you. We work hard to remove that label from our trade and hearing it from other testers is disgraceful. I personally think that you could also improve on the VSI info as that is a great help to perform the test of a vehicle as it's not on autodata etc. I think the public having access to which station have carried out a test could cause issues with prospective buyers contacting garages asking questions unnecessarily . We’ll need to monitor this. Please give us feedback if this proves to be a problem. We’re up there already if you do a ‘google’ search. Shortly we will have a proper ‘start page’ on gov.uk which will make the service even easier to find. Using your data better is good. I had a site assessment recently and everything was fine and the V.E was happy with everything. But to be honest, with the info he or she's already got on us and with annual assessments now clear to see, It did make me think the site assessment is a bit dated and in some areas going over ground already covered: like the testers knowledge bit of the site assessment, when testers have to sit an exam to prove their knowledge anyway. It made me think the VE's time could be better used. Making the most of our examiners’ time in supporting garages that need help and conducting enforcement where we need to is key to us. We welcome ideas from the trade on how best we can do this. Our work on this important area will include further research with garages – as well as our own teams. I'm very glad to see that the location a vehicle has been tested in is going to be included in the future, it can't happen soon enough and will be a significant benefit to us, and I would imagine anyone else trying to remotely manage a fleet of several thousand vehicles. It is great that a private individual can check the MOT status of her/his car on-line and on the move, but for two people in an office the size of a garden shed, responsible for 5,000 vehicles, information is like gold dust. You would think that a large hire company like this would have the ability to locate our vehicles easily. That is definitely not the case, we can be looking for a vehicle for weeks, so the MOT history is a major tool for us. After all, if we can't find a vehicle, we can't get it MOT'd. It’s a shame the heavy goods side is still in the dark ages. Promotion of the "CHECK THE MOT HISTORY" Yougov site to the general public would possibly be of greater benefit to reduce late mot tests as we find most cases of an out of date MOT is discovered by customers receiving a Road licence reminder. I do not see a real commercial advantage in sending testing stations reminders who in turn then have to contact customers who may or may not still own the vehicle. Look forward to the test quality information spreadsheet as this will remove the need for me to download and arrange the data accordingly.